How can I apply to be a part of your My Best Friend or Wellness Professional program? Lolë offers two different programs to its community: the Ambassador Program and the Wellness Professional Program. The Ambassador Program consists of certified sport instructors linked to a Lolë Atelier. The ambassadors have to teach 4 sport sessions per year for free. 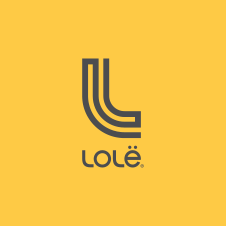 To learn more about this program and to submit your application, we invite you to contact any Lolë store in your area. The Wellness Professional Program offers all certified professionals that work in the wellness field such as: doctors, athletes, nutritionists, etc, and also the students that are about to be certified in those areas of work a fixed discount on our Lolë products. The members of this program will have access to a 30% discount on Lolë products and have no obligation towards the brand. For more information and how to apply, please visit: http://www.lolewomen.com/community/index/instructor/#/ins-form. For all questions, concerns and inquiries about these programs please email loleandfriends@lolewomen.com.